Cut the chicken into thin slices, about ¼ inch thick. Sprinkle with salt and set aside. Melt the butter, buffalo sauce, and cayenne pepper in a small saucepan on medium low heat for about 5 minutes. Stir to combine and turn heat off. Dip the chicken pieces in the flour, then in the egg, and then in the panko crumbs. Coat them generously in each. Heat oil in a medium skillet over medium heat. (360-375 degrees is best for frying)- A cast iron skillet is ideal but not necessary. In batches, cook the chicken on each side for about 7 minutes or until golden brown. Remove and set on paper towels to drain away excess grease. 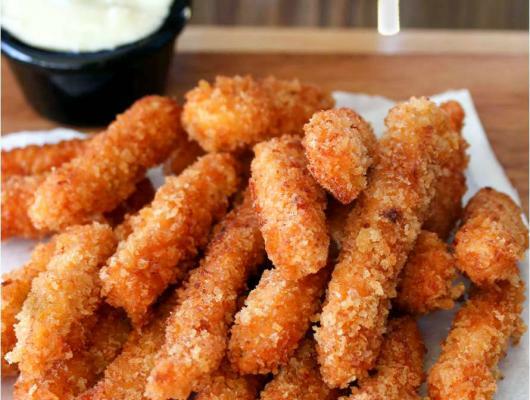 Serve with dipping sauce and enjoy! 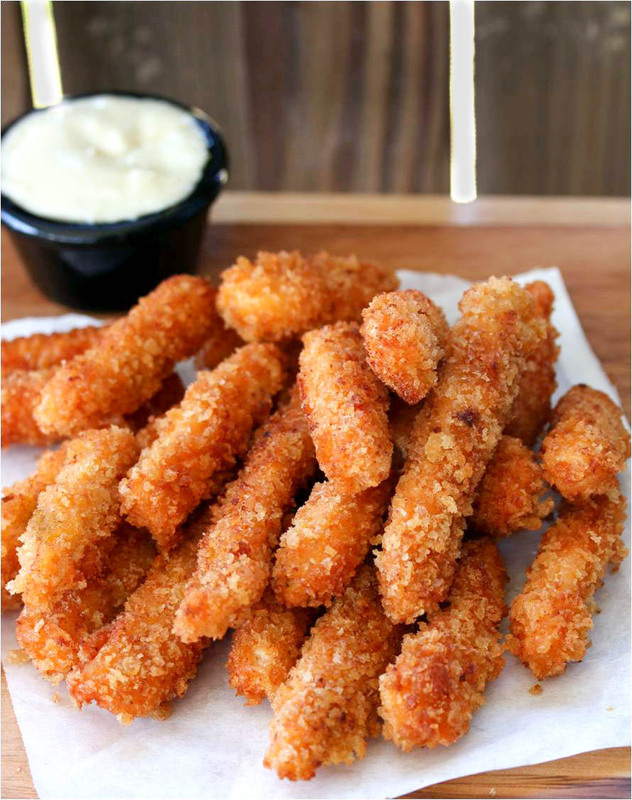 Crispy chicken fries with a hint of zesty buffalo sauce, perfect for dipping into fresh bleu cheese. A great meal or snack for kids and adults.